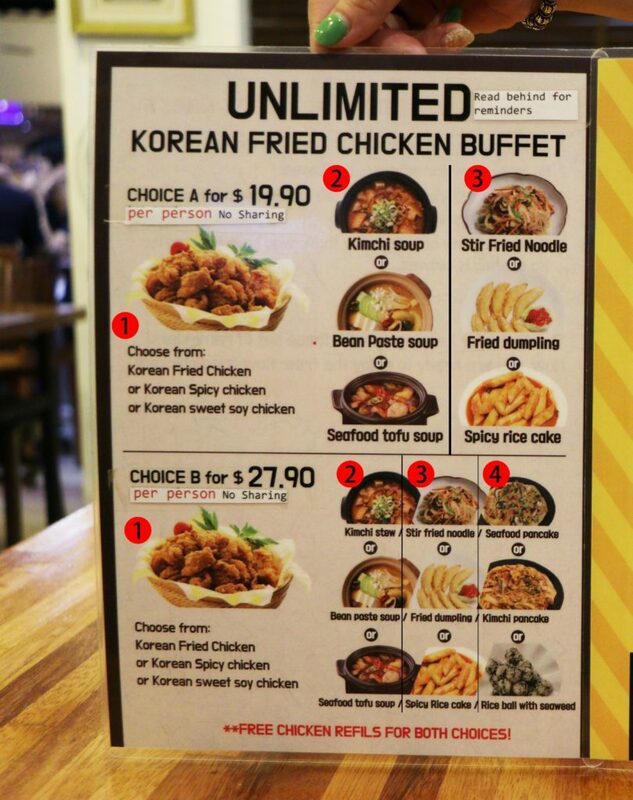 Korean Fried Chicken… BUFFET??? 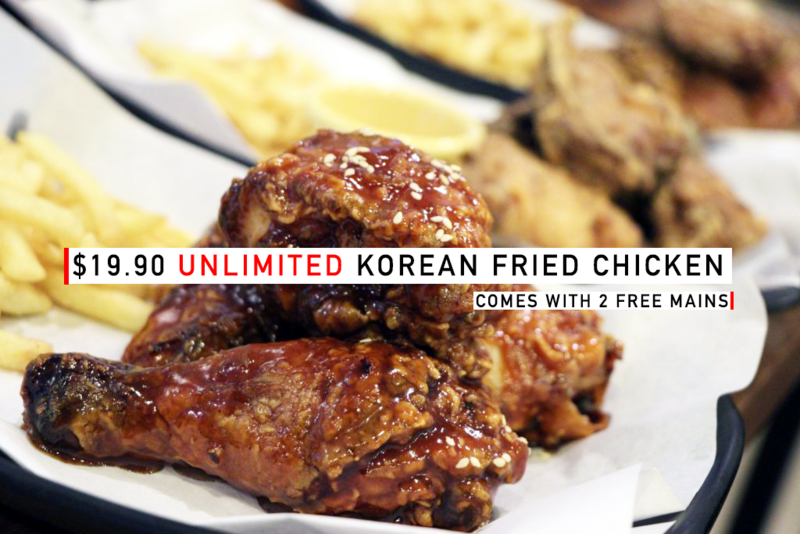 ($19.90nett) DAEEEEBAK! 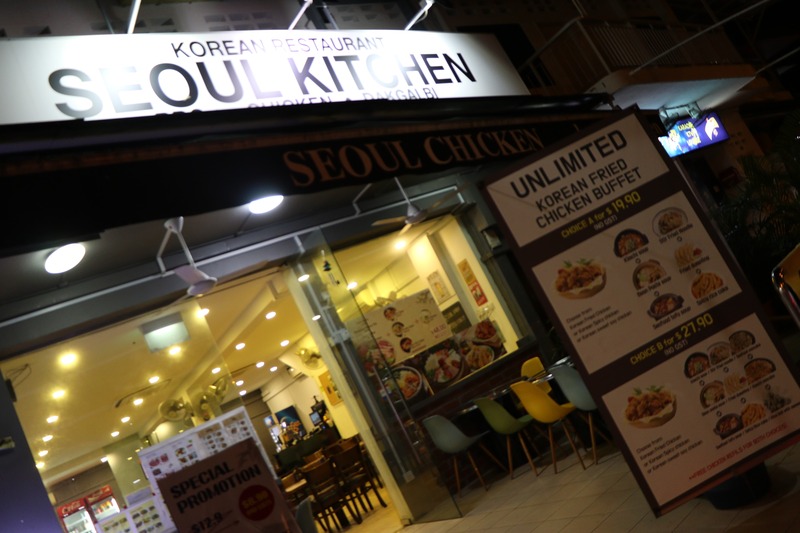 Seoul Kitchen is located along Sembawang Road, quite easy to spot. Previously named Seoul Chicken – for very **pok pok kehhh** obvious reasons. 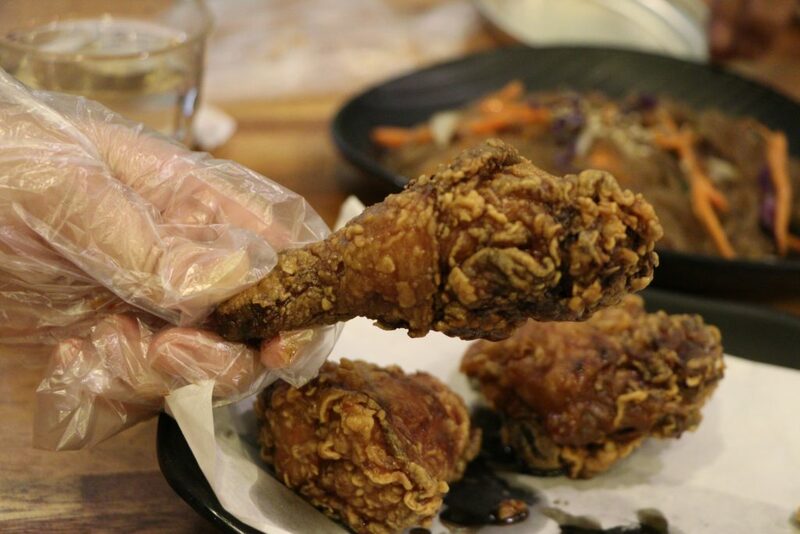 Step 1: Choose from Fried, Spicy, or Sweet Soy Chicken. 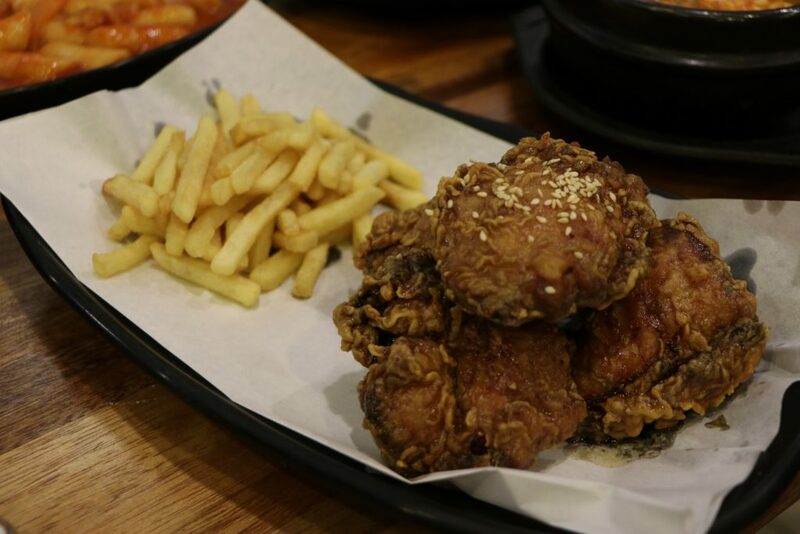 The Fried Chicken is marinated in their secret recipe “black” sauce with herbs. 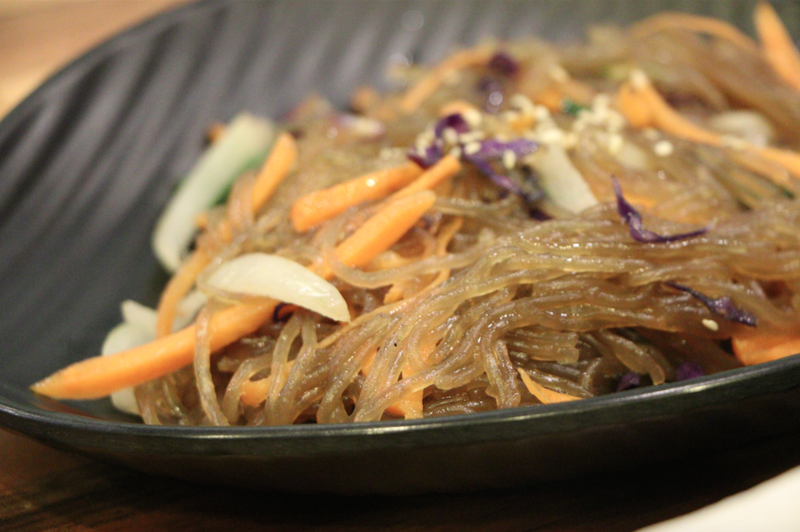 This Sweet Soy is not as sweet as it sounds, and perfectly savoury with the right crispiness!! 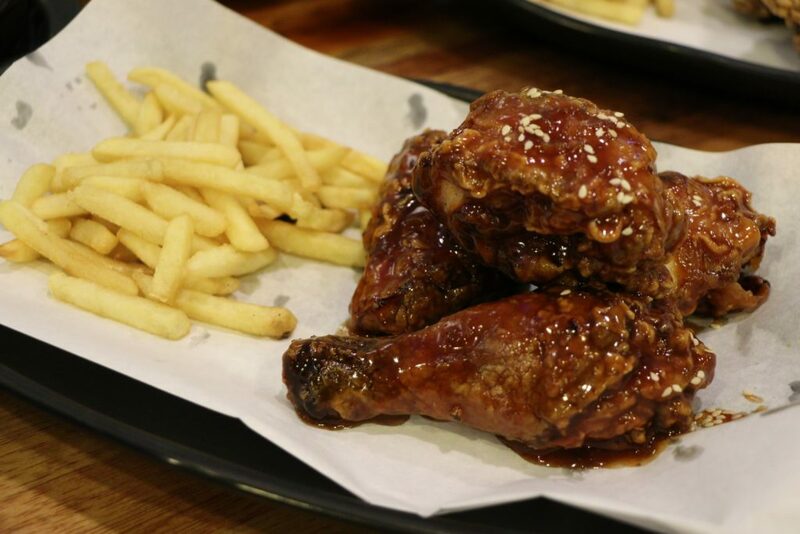 Spicy is just nice, not too spicy either, and dripping with deliciousness. All Chicken options are tender & fresh. 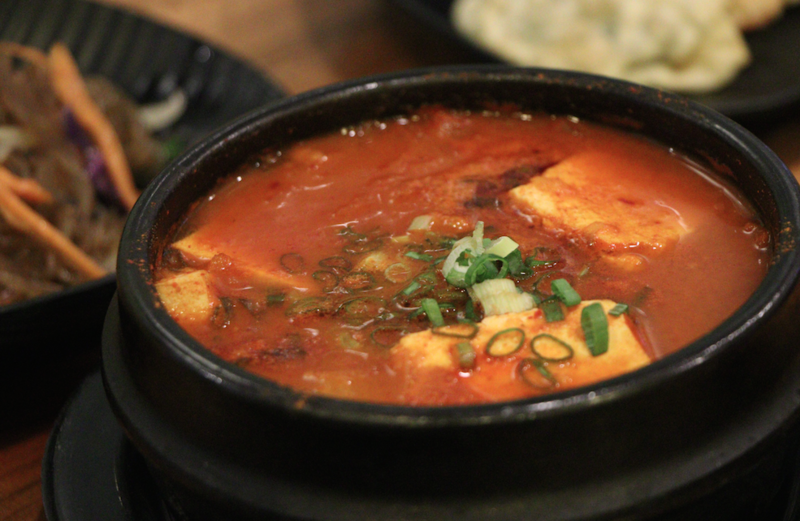 Step 2: Choose from Kimchi Soup, Bean Paste Soup, or Seafood Tofu Soup. 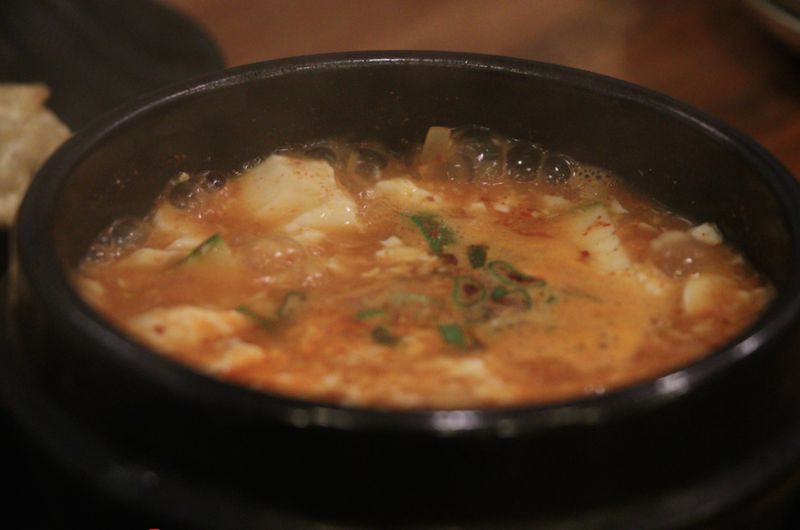 Here is the Kimchi Soup…loves!!! 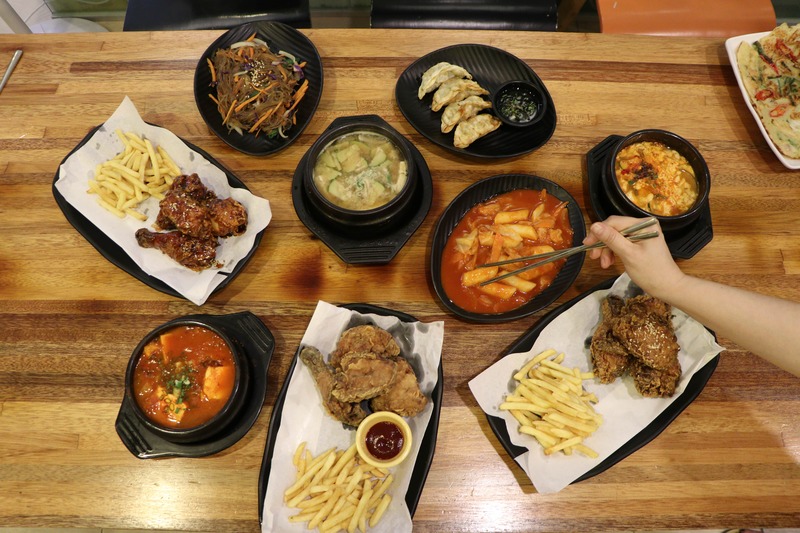 All traditional Korean recipes by the Unni!!! 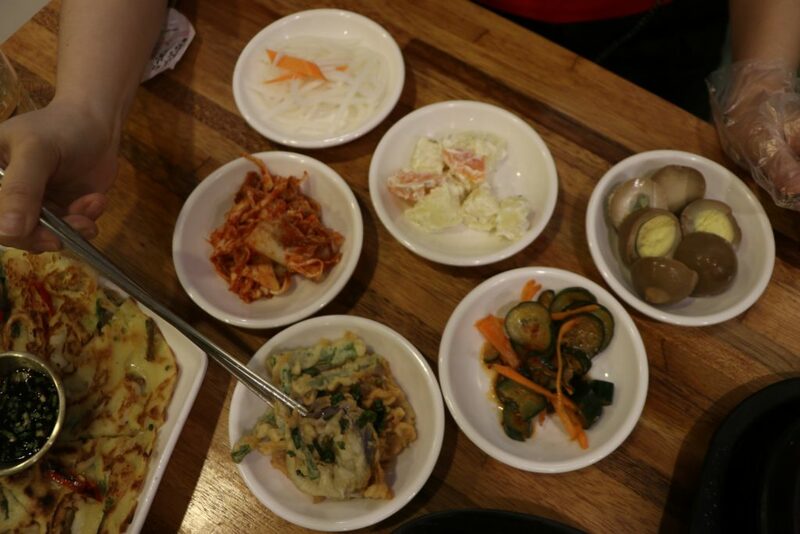 Step 3: Choose between Stir-Fried Noodles, Fried Dumplings, and Spicy Rice Cakes. 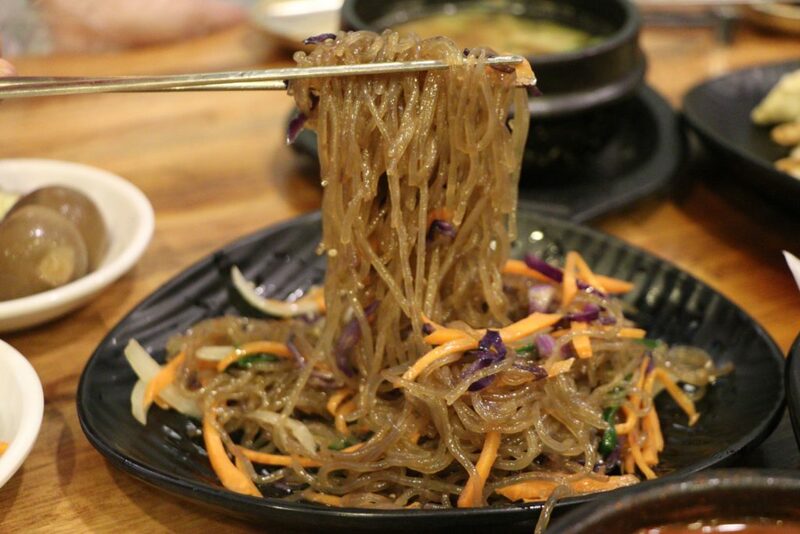 How can you go wrong with JapChae seriously. 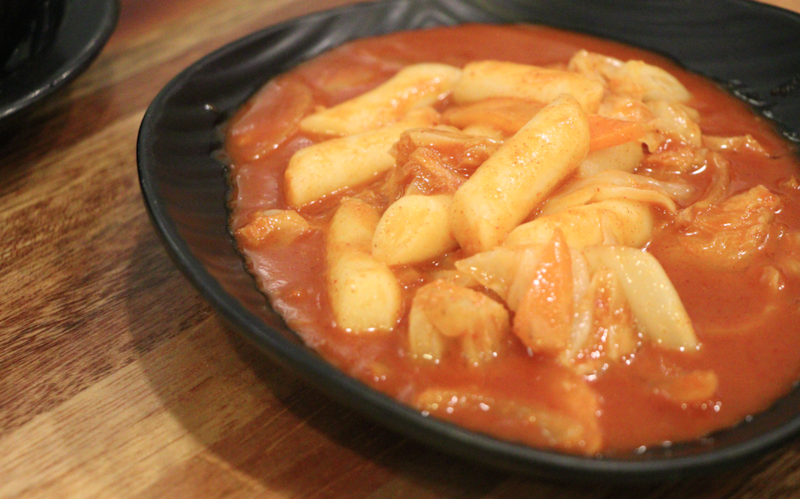 The Tteokbokki super fresh and chewy. 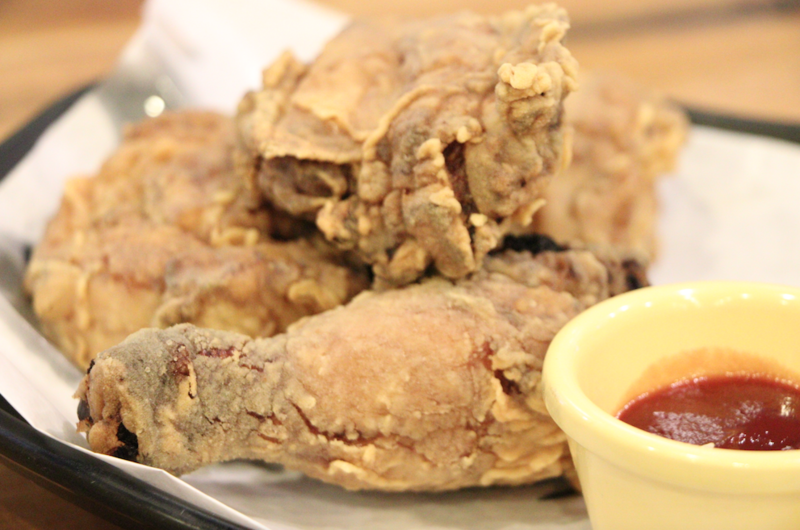 Our fave. 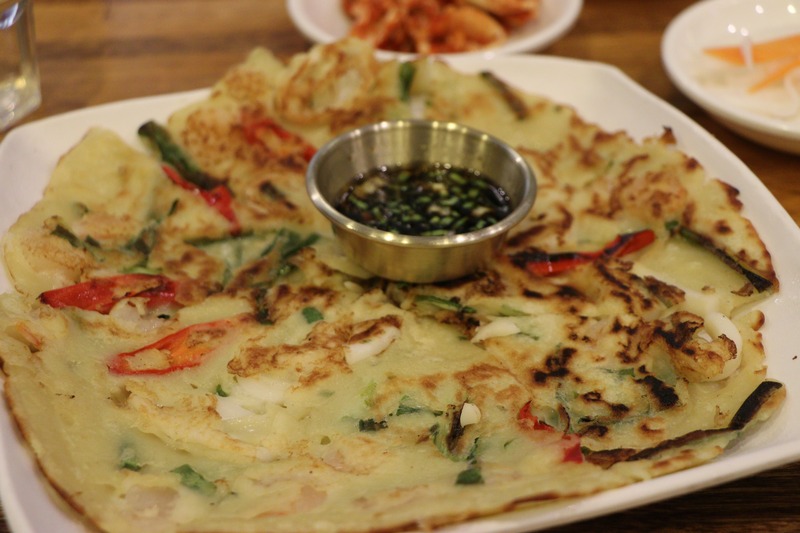 which we loved – really flavourful, soft and warm and not too chewy. Kimchi Pancakes or Seaweed Rice Balls are two other options. All sauces are HOME-MADE on a regular basis. 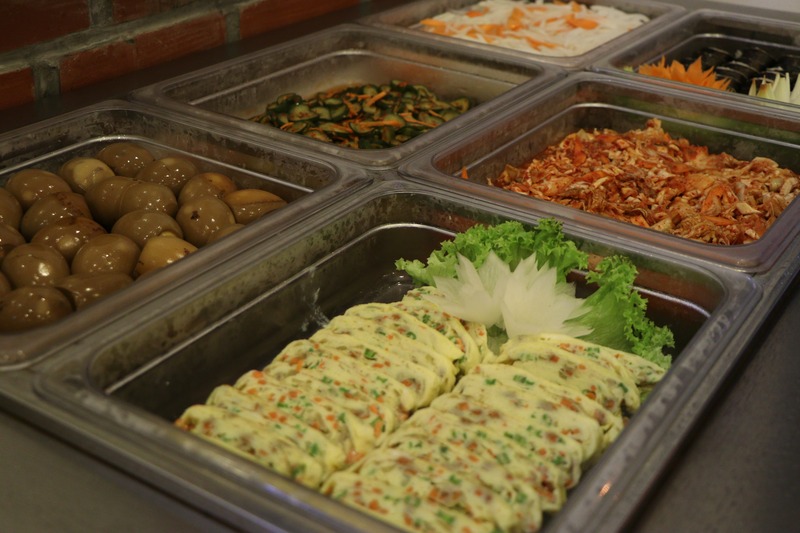 FRESH KIMCHI All Day Err Day!! !